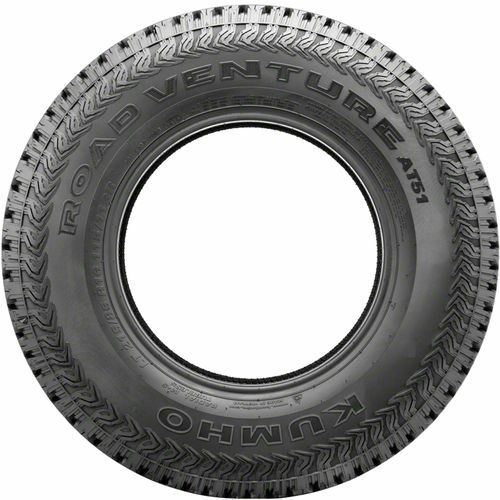 The Kumho Road Venture AT51 is an all-terrain tire specially developed for drivers who are looking for superior off-road performance, year-round traction, and durability. Ideal for jeeps, pickup trucks, and sport utility vehicles, the Kumho Road Venture AT51 gives you confidence to drive on rugged terrain during all seasons, including snow. 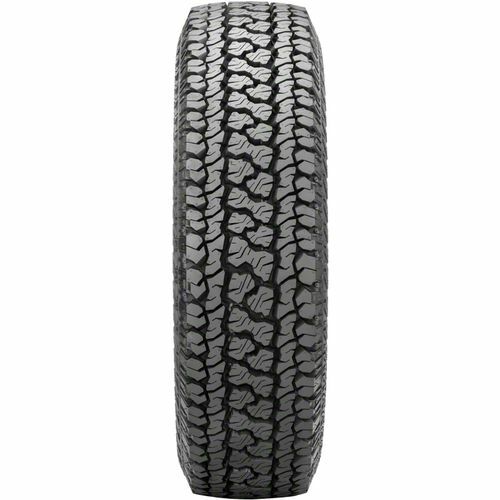 It features a special cut-resistant dual silica tread compound molded into a wide tread to provide an all-weather grip and self-cleaning capabilities. The compound is optimized for strength and heat dispersal so as to enhance the tire™s durability while the shoulders on the tread expels stones so you maintain traction on rough surfaces. Enhancing dry handling and wet braking are the zigzag center blocks which create a stable contact area. It is backed by a 55,000-mile treadwear warranty for Euro & P-metric sizes. 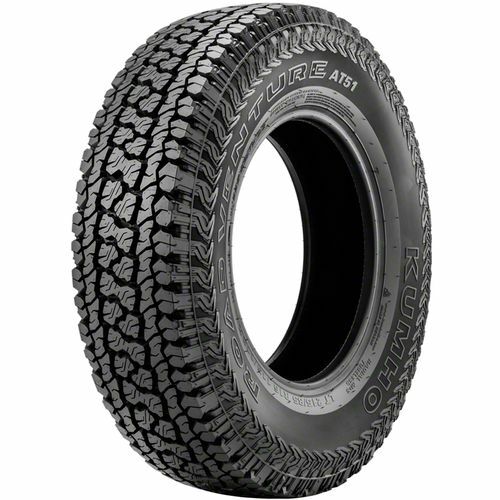 LT315/70R-17 N/A 3,197 lbs 50 psi 16/32nds N/A 13" N/A 34"
Purchase includes the Kumho Road Venture AT51 tire only. The wheel rim shown in the picture is not included. Picture provided is a stock picture from the manufacturer and may or may not reflect the actual product being ordered. All Kumho Road Venture AT51 tires are continuously developing with manufactured improvements. With that said, Simple Tire and the manufacturers have the right to change these tire specifications at any time without notice or obligation. Please Note: Specifications of the Kumho Road Venture AT51 tires shown above are listed to be as accurate as possible based on the information provided to us by Kumho tires. Overall couldn't be happier. 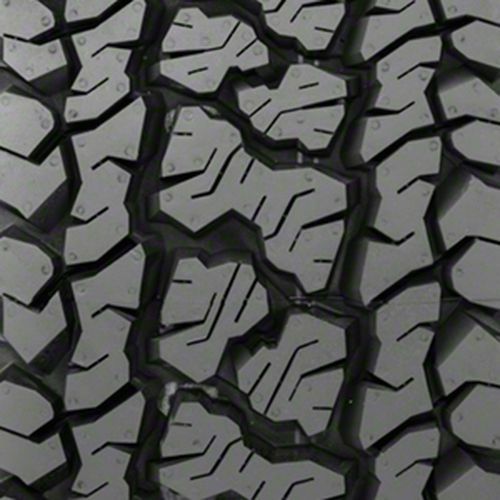 When the tread gets low, wet traction is very bad so don't wait until they are fully worn. Other than that, great road ride, quiet, great snow/mud traction given the class of tire, etc. This is my third set of these Road handlers, have been getting about 3 years out of each set so far driving on a lot of rock roads.